support and advice to help roofers comply with the significant health and safety requirements which now apply to all home improvements and building work. From 6 April, the new regulations for managing the health, safety and welfare of construction projects, have applied to all domestic projects for the first time regardless of the size, duration and nature of the work. Replacing CDM 2007, this new piece of legislation is designed to help improve health and safety and reduce accidents during building projects. Building firms need to review their health and safety processes to ensure they are compliant with the new law. Failure to comply with the new regulations could risk future sales of a property if the homeowner cannot produce the required paperwork – specifically for many jobs, a health and safety file, which outlines how the work was undertaken and what was installed. The HSE is also likely to target domestic jobs for more frequent inspections. • All building projects must have a written construction phase safety plan. • CDM applies to all building and construction work, including new build, demolition, refurbishment, extensions, conversions, repair and maintenance. • All domestic projects will have to meet the same basic standards for the provision of welfare facilities as commercial projects, such as access to toilets. • There is a duty to make sure all people working on the job have the right skills, knowledge, training and experience. • Where there is more than one contractor, a principal designer (typically an architect) must also be appointed and they coordinate all matters relating to health and safety. • If the principal designer changes or is not engaged to the end, the responsibility for the file moves on and may rest finally with the principal contractor. • Any domestic projects finishing after April 6, where there has been more than one contractor, must have a health and safety file presented at the end. 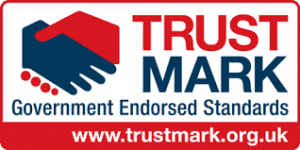 Simon Ayers, Chief Executive of TrustMark, says: “These new CDM 2015 Regulations will help to reduce accidents during building projects by involving everyone – architects, builders and the homeowner. It’s a positive step forward to helping everyone enjoy a safe working relationship on all home improvements and building projects. For further information on the Construction (Design & Management) Regulations 2015, click on www.hse.gov.uk/pubns/indg411.pdf or www.citb.co.uk/health-safety-and-other-topics/health-safety/construction-design-and-management-regulations/ for industry guidance documents.